Sikkim Darjeeling Gangtok India Tour is a delighted tour package into north east India with fascinating scenic beauty to offers and entire wilderness to natural and cultural beauty to explore. This enjoyable tour to India let you explore the hill station of Darjeeling and a wonderful phantasmagoria of Himalayan culture, scenery, mountain ranges spread with passes and an implausible collection of flora and fauna. 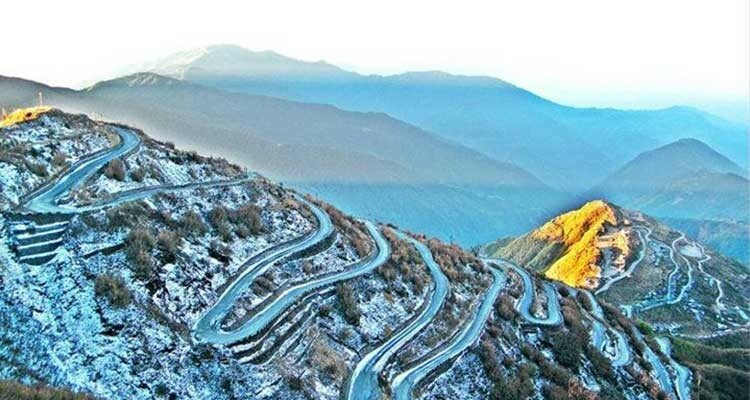 Sikkim Darjeeling Gangtok Tour starts with a scenic drive from Kathmandu to kakarvitta the eastern border of Nepal and India. From here we drive a scenic route all the way to the fantasy hill station of Darjeeling. Darjeeling offer the travelers a chance to enjoy the ride in the Toy Train, the World Heritage Site. The mountains covered with sparkling ice and the forests swathed with the thick undergrowth. Whereas Sikkim and Gantok lets you to enjoy the classic culture and religion along with fascinating and humble hospitality. Sikkim Tours also offer visit to Sikkim, known for Buddhist monasteries and the wonderful Gompa which cabinets the old taste of the town. Commence tour to North east India and enjoy the exotic scenery and culture of the delighted places. Explore the natural scenery and enjoy the cultural taste. Day 1: Early morning drive from Kathmandu to Kakarvitta. Day 2: Today we drive from Kakarvitta for 4-5hours all the way to the beautiful scenic place of Gangtok. Enjoy the scenic beauty and explore the cultural shrines. Rest overnight. Day 3: Half day sightseeing around Gangtok and then drive all the way to Sikkim. Enjoy the classic beauty of Sikkim and then rest overnight. Day 4: Full day sightseeing and cultural tour to Sikkim. Explore the natural scenic places and cultural shrines. Rest overnight. Day 5: Today early in the morning we drive from Sikkim all the way to the hill station of Darjeeling. Explore around and then rest overnight. Day 6: explore the scenic beauty of Darjeeling and encounter with the cultural people around. Rest overnight. Day 7: Today we drive from Darjeeling to Kakarvitta and then drive all the way to Kathmandu valley. Rest overnight. Day 8: Rest and acclimatization day at Kathmandu valley.